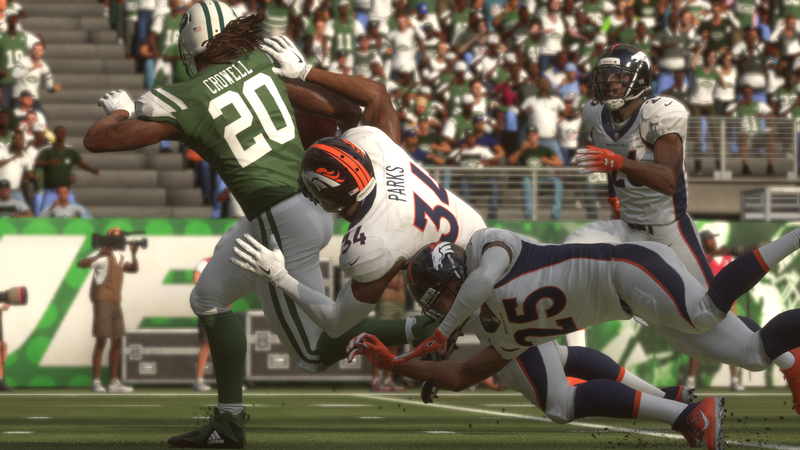 The roster update for Madden NFL 19 featuring ratings changes based on regular season performance through five weeks has gone live to download all systems. After breaking the all-time passing yards record Drew Brees has been boosted all the way up to a 99 Overall. Presumably this is just a temporary form of commemoration given that he was 92 Overall going into the Monday Night Football win. Other notables on the move this week include Von Miller (-1 to 98), DeAndre Hopkins (+1 to 96), Travis Kelce (+1 to 96), Aaron Rodgers (-1 to 96), Harrison Smith (-1 to 95), Melvin Gordon (+2 to 91), Linval Joseph (+1 to 90 and +12 in Speed), Philip Rivers (+2 to 89), Matt Ryan (-1 to 89), Cam Newton (-1 to 87), Janoris Jenkins (-2 to 85), Josh Norman (-2 to 85), Graham Gano (+4 to 84), Isaiah Crowell (+1 to 81), and Mason Crosby (-2 to 75).